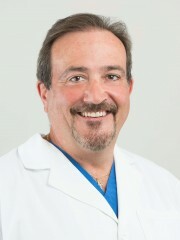 Dr. Chichetti earned his Bachelor of Science degree with honors from St. Thomas Aquinas College, where he was President of the New York Beta Chapter of the Alpha Chi Honor Society. In 1987, he received his Doctor of Dental Surgery degree with honors, graduating as Senior Class President from the State University of New York at Buffalo School of Dental Medicine. Following dental school, he completed a general practice residency at the Veterans Administration Medical Center in Buffalo, NY, receiving additional training in oral surgery, anesthesiology and maxillofacial prosthodontics. Dr. Chichetti has extensive post-doctoral training in all phases of general dentistry, including oral surgery, periodontics, prosthodontics, endodontics, implant dentistry, pediatric dentistry and orthodontics. In addition, he is a certified Invisalign ® Orthodontic Provider. Dr. Chichetti is an active member of the Rockland County 9th District Dental Society, the New York State Dental Association, and the American Dental Association. In his leisure time, Dr. Chichetti is an avid photographer and motorcyclist, and he also enjoys singing and playing keyboards in his rock and blues band.